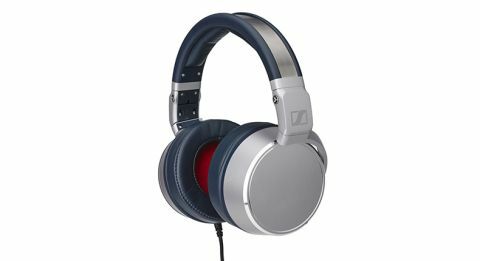 Sennheiser HD 630VB review | What Hi-Fi? You can trust Sennheiser to pull something different out of the hat. After all, this is the company that celebrated its 70th birthday by releasing a €50,000 headphone/amp system housed in a block of marble. You don’t get that level of bling with the Sennheiser HD 630VB headphones, but nonetheless they offer something we didn’t expect: the ‘VB’ part stands for Variable Bass. These are closed-back, over-the-ear headphones, apparently aimed at audiophiles on the go, and with an adjustable bass boost. You read that correctly: we just used ‘audiophile’ and ‘bass boost’ in the same sentence. Fans of Sennheiser’s existing HD 600-series headphones will notice this is a radical break from tradition. In the past they have been prestigious audiophile headphones, with open backs, designed for use in the home. They certainly never condoned messing with the bass, either. The HD 630VBs, by contrast, are begging to be messed with. The side of the right ear cup is a rotary dial, which operates like a volume knob: twist clockwise for more bass, anti-clockwise for less. Sennheiser says this gives you a difference of +/- 5dB at 50Hz. It’s a smooth, continuous turn, although the ear cup itself is marked, dividing the bass variation into seven increments. The fun doesn’t stop there. A rubbery circle in the middle of the dial also houses smartphone playback and volume controls. The three-button set up has long been the domain of iOS users, but Sennheiser is promising full Android compatibility. Simply flick a small switch and your Android phone should receive play/pause and volume up/down privileges. We encountered no problems with phones from LG, Samsung, Sony and Motorola. Curiously, Sennheiser has decided to put everything onto the right ear cup, ignoring the left. You might expect another patch of dark blue rubber for aesthetic purposes, but no – it has been left bare as a sort of fashion statement on behalf of those who hate symmetry. It goes nicely with the bold material choices of blue synthetic leather, red cloth (in the lining) and chunky aluminium – a big leap from the understated elegance of the B&W P7s. Would you wear these out and about? The HD 630VBs are designed for portable use, although we might think twice about taking these out on the morning commute. There’s no getting past their chunky appearance (fat Cybermen come to mind) and at 400g they don’t qualify for featherweight. Then again, they’re comfortable. They don’t clamp down too hard and the earpads provide a good seal against the outside world. The build quality is exemplary and they could probably survive being regularly tossed into a rucksack. It also helps that the earcups are hinged and can fold in on themselves. Our only real reservation about the design is the cable. The HD 630VBs have a 1.2m cable with a microphone for calls and a straight 3.5mm plug (6.3mm adaptor in the box). Sadly this cable is fixed, which means you can’t replace it if it breaks, or if you just fancy a longer one for home use. For the money, we’d like the option of replacement. Let’s talk about variable bass. We’ve seen headphones with ‘bass boost’ switches before, but nothing with this level of finesse. The bass adjustment here is very subtle, not 0 to 60 in a second. From the minimum setting to about three-quarters bass, the adjustment does not massively alter the tonal balance. Bass weight creeps up but the rest of the frequency is mostly unaffected. Turn it to maximum and the sound thickens up considerably, although it’s still fairly articulate. For us the sweet point was about halfway, maybe a little higher for older, thinner recordings that could benefit from extra richness. Forget about the bass for a moment and the treble stays on the pleasant side of crisp, never hardening even when you crank it up. The midrange, however feels a little recessed – we felt vocals and guitar strums could be more forthcoming. We like the clarity of the sound, and detail levels are good too. Imaging is impressive and there’s plenty of space – it’s not obvious that these are closed-back headphones. If there is a flaw in the audio performance, it is the ability to engage. The sound never grabs you by the lapels and draws your attention. The competition? We pit the HD 630VBs against the B&W P7s. The P7s don’t have variable bass, but they do have tighter timing and wider dynamics, making for a more entertaining listen than the Sennheisers. The Sennheiser HD 630VBs are a curious beast. We’re not sure they fit the audiophile crowd that Sennheiser is apparently gunning for, but it’s a competent and amiable performance that’s easy to live with. That variable bass certainly is unique, and no doubt some will find the list of features very appealing indeed.